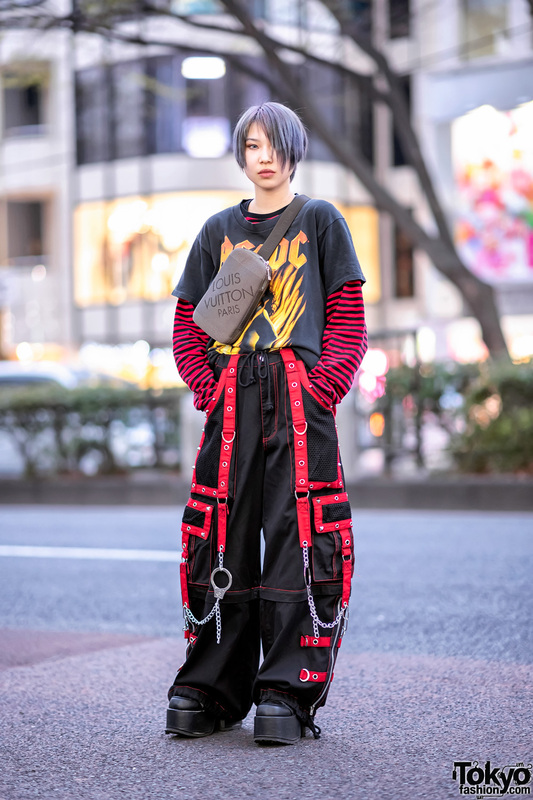 We came upon Sou, a 17-year-old student whose red-and-black street ensemble easily caught our attention on the Harajuku street. 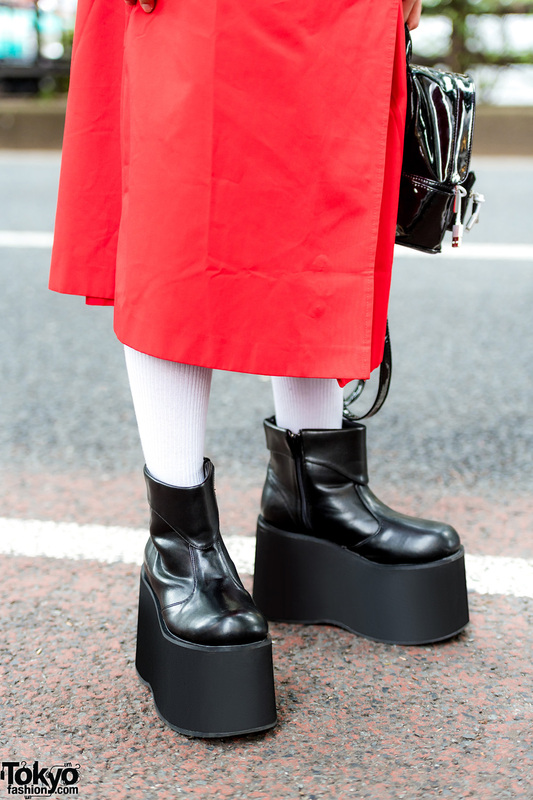 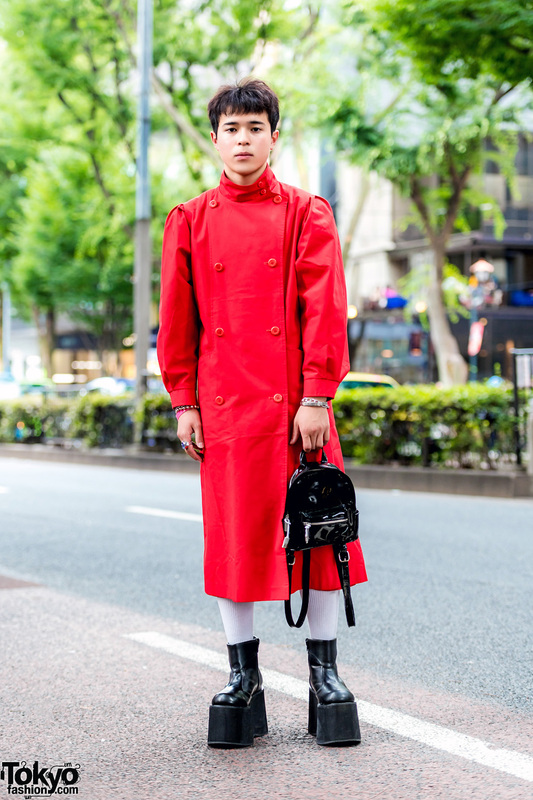 Sou is decked out in a red double-breasted long coat with a button-up turtleneck collar detail, which he styled with white ribbed socks and black platform zipper boots from Funtasma. 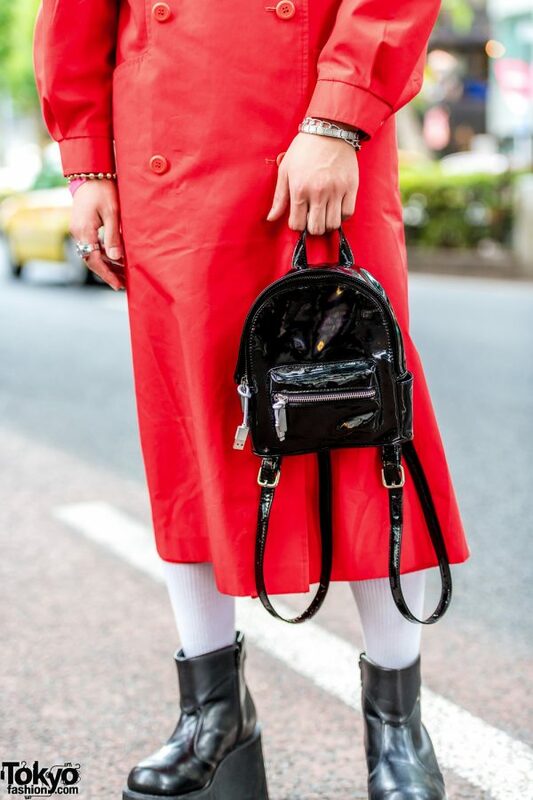 Multiple silver bracelets, a silver cocktail ring, and a black patent leather mini-backpack from Forever21 rounded out Sou’s street style. 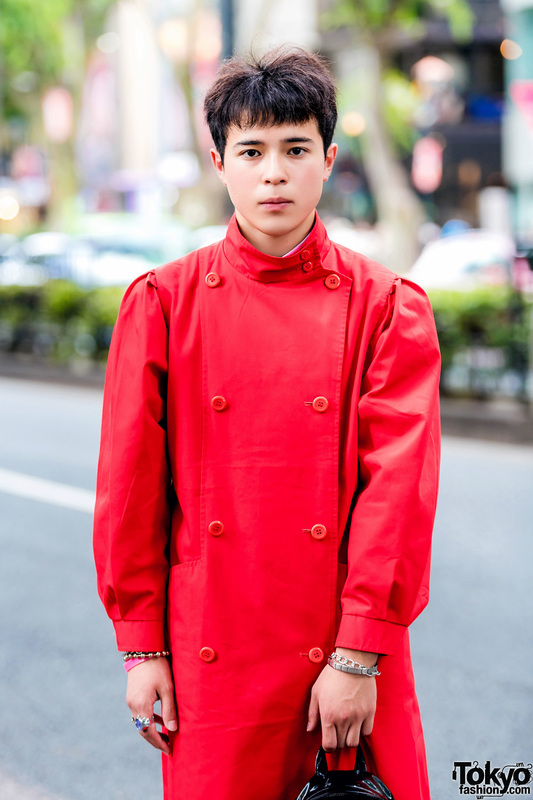 Popular Japanese streetwear label, Comme des Garcons, and Martine Rose are two of Sou’s favorite fashion brands, and he likes to listen to music from Boowy. 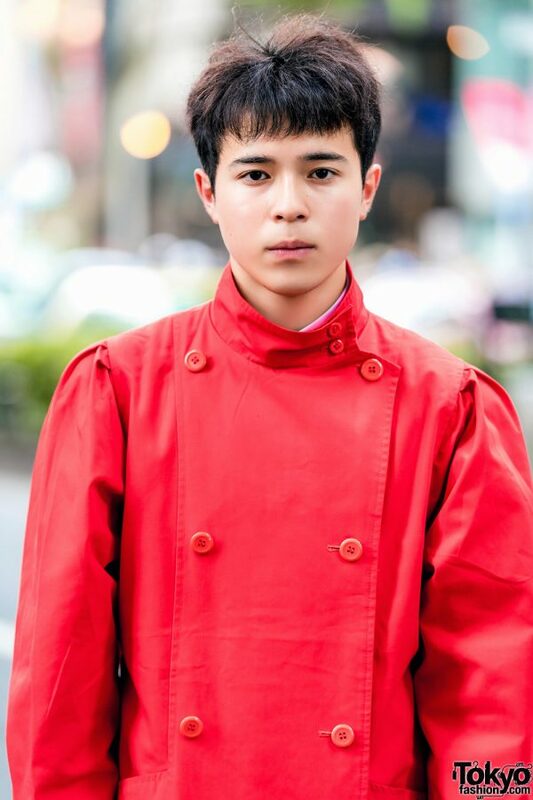 For more info on Sou Yokoo, follow him on Twitter and Instagram.